Thanks to the Internet, we now live in a global village. While the world may feel smaller, the international marketplace has grown bigger than ever. As a business owner, that marketplace is your playground, especially if you have a worldwide web presence. 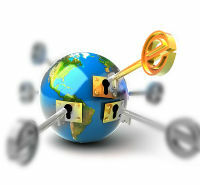 International web hosting allows you to cross borders with ease and attract a global audience. But how do you find a host for your site that can support you internationally? You know you need a spot on the web for hosting international sites. You also know this will give you access to a broader range of customers, but you’re not quite sure what to look for in a provider. Well, that's exactly what this article is for. First Things First: International or Local? Some think it's best to select a website host in a location near your audience. The shorter the distance, the faster the signal gets there, right? That makes sense on the surface. However, no one can host multiple local domains on local servers under one control panel. That’s why international web hosting is the ideal solution for many businesses. Let’s take a little deeper look at that. We no longer use dial-up: local web hosting was relevant during the dial-up decades, when web latency was a legitimate concern. So was getting a busy signal because a fax was being transmitted. Not anymore. Today's internet is fast, really fast: on average, a signal travels through the web halfway around the world in about 170 milliseconds. So, do you really need your host to be in a location tucked away closer to your—albeit important—secondary audience? Mirror sites: today’s technology can mirror your site across multiple locations using load-balancing software. This means that you simply need to focus on finding a reliable service for international website hosting. Don’t worry about the location: focus on your primary audience. If the majority of your revenue comes from one particular country, you probably want to consider finding a host in that country. Country-Specific and local language domains (for example, .com, .au, or .fr) to better reach your new target audience. Top-Level Domain vs. Country Code: Most of the biggest provider names from the United States, Canada, and UK offer TLD (top-level domain) hosting. However, they do not all support country code (ccTLD) and internationalized country code (IDN ccTLD) domain names. Make sure your global web hosting service provider goes beyond just TLD into ccTLD and/or IDN ccTLD. Keep these tips in mind when you’re doing your homework. Find a host that suits the needs of your business and your ability to reach international customers. But don’t stop there. After you’ve chosen a provider and launched your international hosting, monitor the performance of your site over the course of the agreement. As things change – and you know they will – don’t be afraid to change, too. All good hosting providers will be able to adjust and evolve with you. 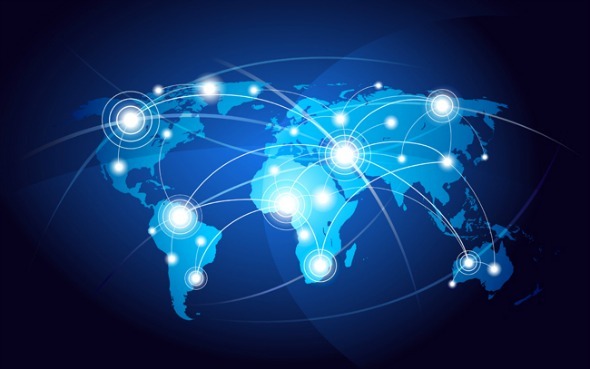 Are you ready to take your web presence to the global level? Then you might find this Web Hosting Comparison Chart helpful!